There's no doubt that living in the heart of downtown is attractive for many who move to Puerto Vallarta specifically for the romantic life suggested by walking along the Malecón in El Centro on a sunny Sunday, surrounded by the friendly faces of Mexico. This is where real estate tourism began for Puerto Vallarta, with builders such as Wulff and Romero building homes for gringos on the hills behind the town and along the Cuale River (hence the nickname Gringo Gulch). 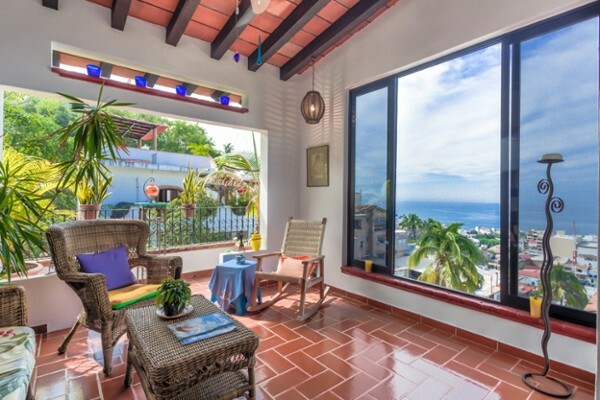 It is also where you'll find some of the most prized and popular real estate in Puerto Vallarta. Very traditional homes dot the hillside, offering wonderful views of the town and bay. Although there are a few small condo projects, most are located along Los Muertos Beach to the south of town. This is the town's most popular beach, with an active day and nightlife along Olas Altas behind the beach. Along the Malecón, which now stretches from one end of town to the other, there are mostly shops, restaurants, and nightclubs, with few homes or condominiums. If you like to be close to the best restaurants and nightlife, this is the place to be. Central Vallarta is divided into five areas or sub-regions: Northside, Southside, Eastside, Amapas and Conchas Chinas. To become familiar their borders, click on any area to showcase its name on the map below. The most popular real estate area currently is the South side, (sometimes referred to as the "Romantic Zone"), which is southeast of the River Cuale and encompasses the popular beach of of Los Muertos, and the area behind known as the colonia (or neighborhood) of Emiliano Zapata. Currently there's somewhat of a real estate renaissance taking place here as older homes and apartment buildings are being torn down to build more modern, small boutique condominiums buildings. The divider between north and south downtown is the Cuale River. Northside includes the popular Malecón with restaurants, shops, and nightclubs built along its length, with typical Vallarta homes built into the hillside behind. Southside is often referred to as well as "Los Muertos" or "Zona Romántica". 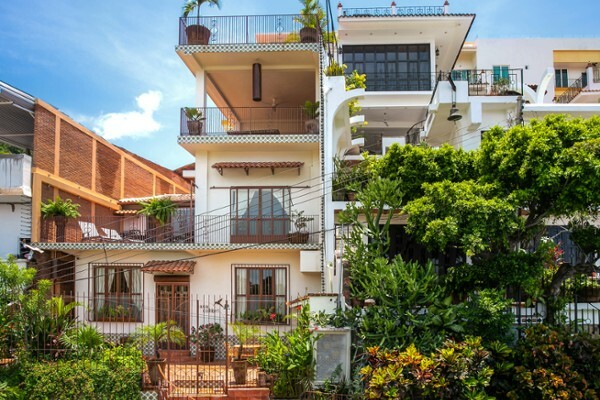 The most common real estate found here would be the mid-priced condominiums that line the beach of Los Muertos, some on the hillside behind and a few very Vallarta-style homes. Eastside encompasses the residential colonias behind the city downtown area, on the hillside behind and heading back to the highway that wraps around the downtown area, which consists of homes and small condo developments. Amapas and Conchas Chinas are popular residential neighborhoods on either side of the road heading south on highway #200. Some say the best views in all of Banderas Bay are from the luxury homes and condos built into hills of Amapas and Conchas Chinas. 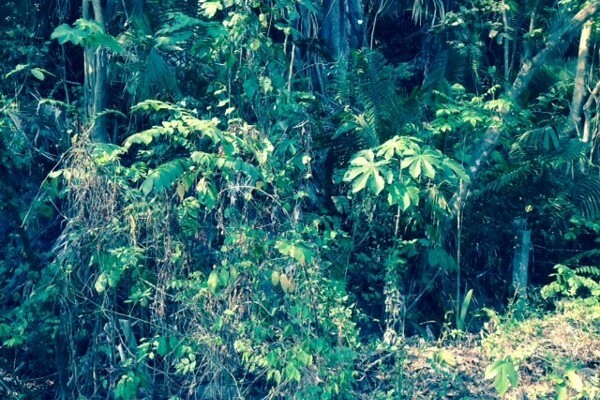 For many, that's the primary reason for living and owning real estate in this exclusive zone just south of Vallarta's downtown area, nestled into the foothills of the Sierra Madre. 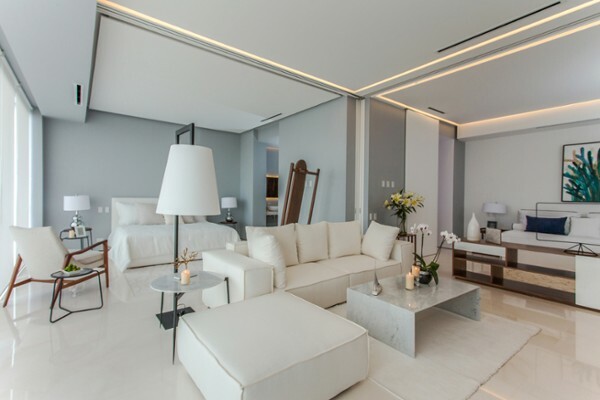 For years, Conchas Chinas real estate has offered some of the most exclusive condominiums and homes for sale around the bay. There are oceanfront homes (and a few condo projects), but more are built onto the hillside. Recently, Amapas and Conchas Chinas have seen new real estate projects going up, mostly involving mid-range condominiums for sale. The views are spectacular, and the easy access to town has made this a favorite place to live for many. Conveniently located between the airport and the downtown, Vallarta North region includes popular real estate areas like Marina Vallarta and the Hotel Zone. Great variety of properties is available, regarding price, type, and location. 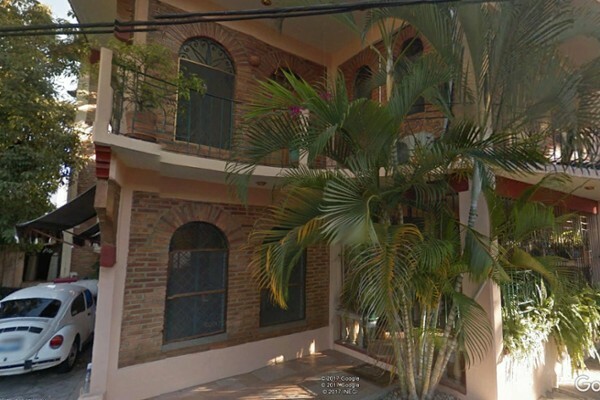 Close to or in the downtown area, therefore close to restaurants, nightlife, Malecón and plaza. Can be noisy and busy. If you want to be in the thick of things, easy to socialize and meet up with people. Don't necessarily need a car. Traffic can be a pain. The map below outlines the most popular real estate regions and sub-regions of Puerto Vallarta and Riviera Nayarit in green. Click on any one of the shaded areas to view the name of the region, a photo and description of the most popular areas.